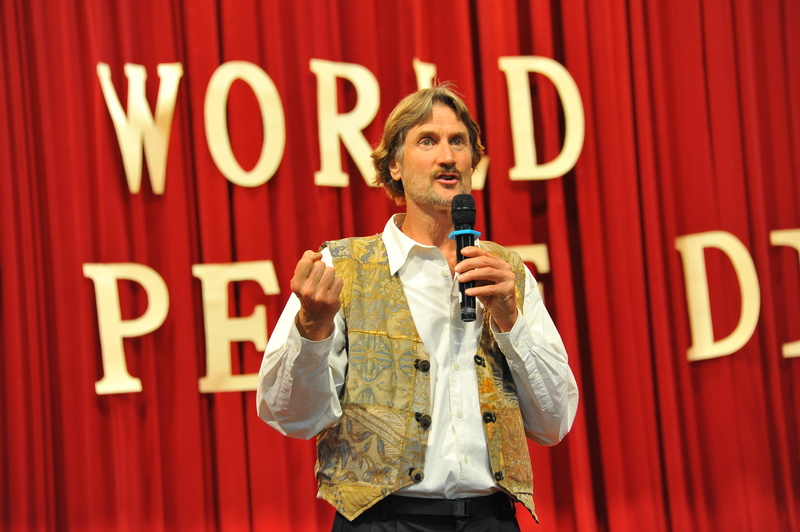 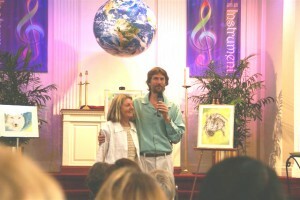 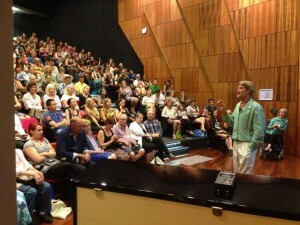 Visionary educator Dr. Tuttle presents lecture events both in North America and worldwide promoting peace, compassion, vegan living, and discussing the transformative ideas in The World Peace Diet. 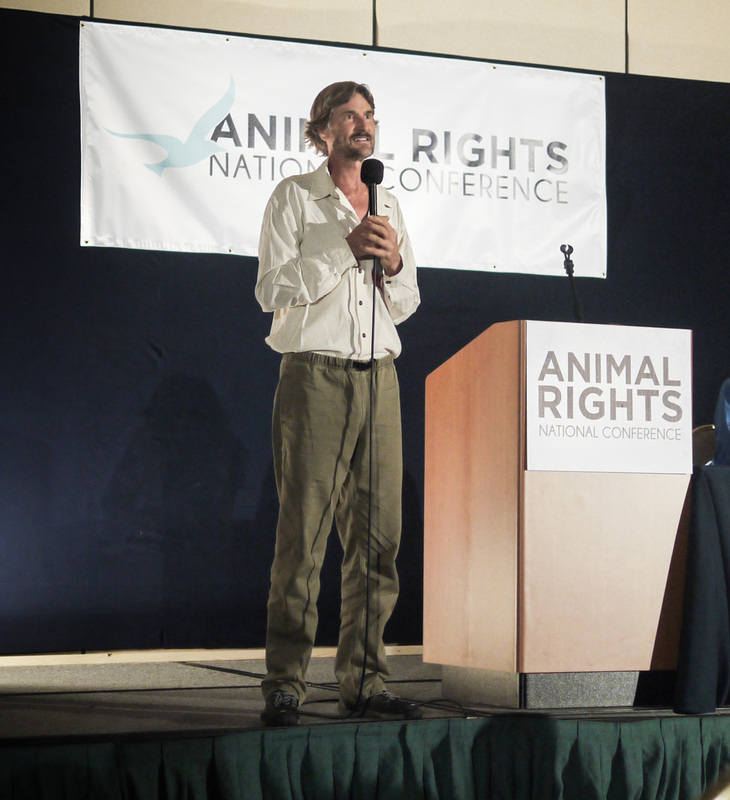 A 38-year vegan, his presentations offer a uniquely broad and deep understanding of the profound consequences of our culture’s routine mistreatment of animals for food and other uses. Dr. Tuttle is committed to raising awareness about the interconnections between animal liberation and social justice, peace, health, ethics, spirituality, and environmental sustainability. 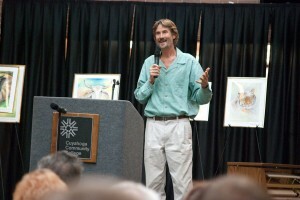 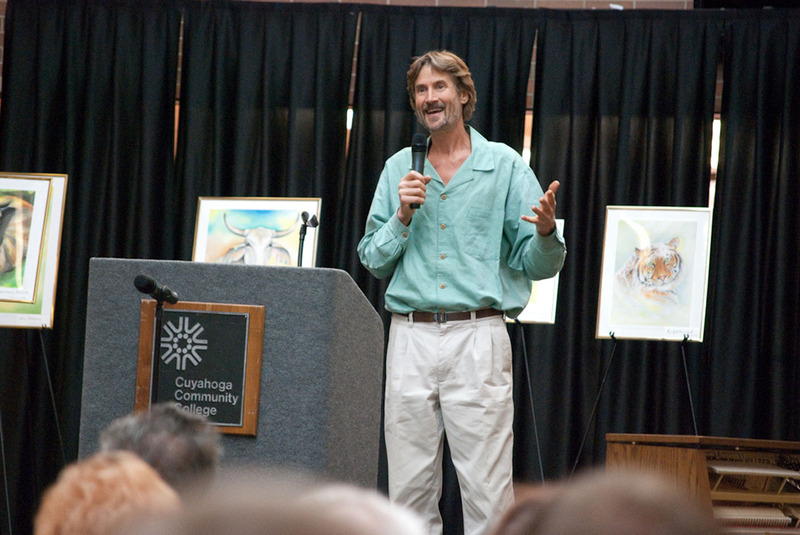 His presentations often include original piano music as well as evocative animal paintings by his spouse, Madeleine, a Swiss visionary artist, Waldorf educator, organic gardener, vegan chef, and artisan. 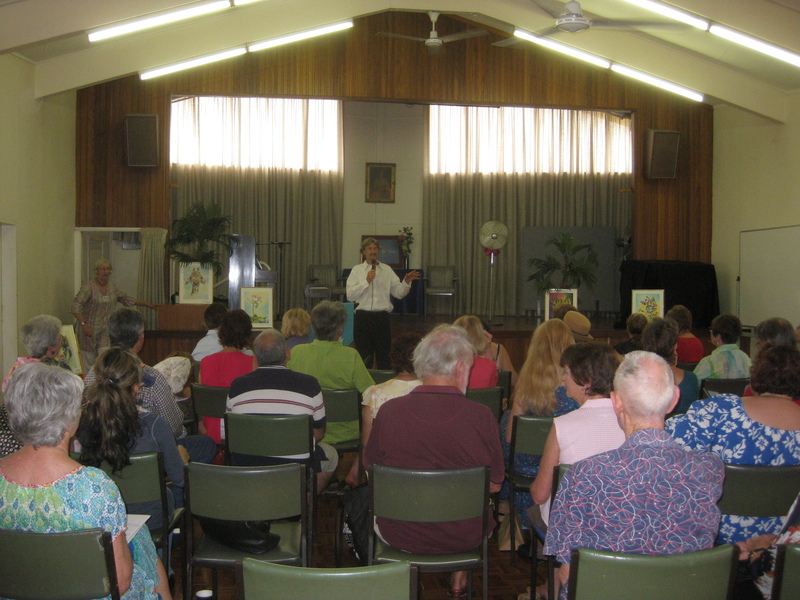 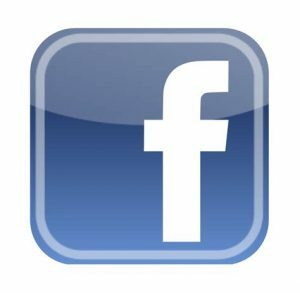 Please contact us for information about presentations for conferences, festivals, groups, college classes, and retreats, or for radio, TV, or documentary presentations, either live or via Skype. Dr. Tuttle has been inspiring audiences for over 35 years, and has delivered thousands of lectures, classes, workshops, and concerts in 49 U.S. states and 50 countries. 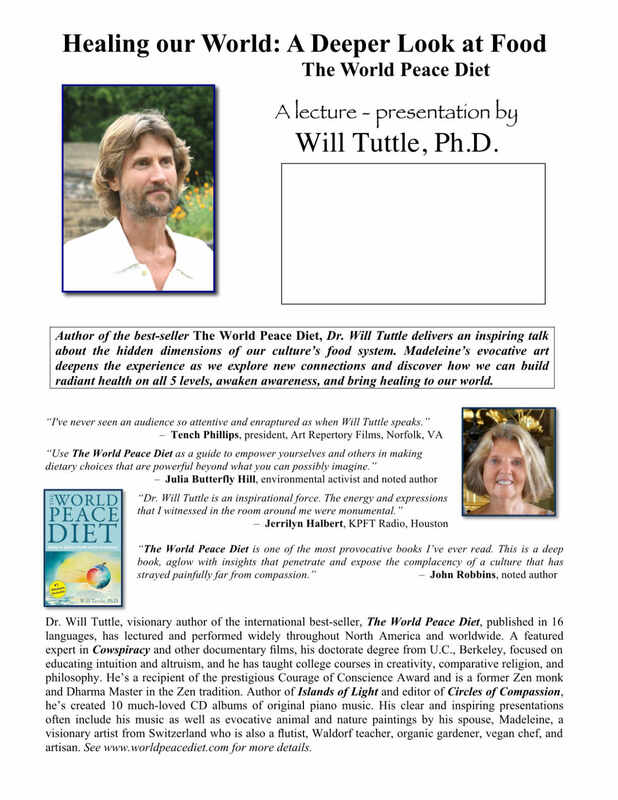 Click here for a sample flyer of Dr. Tuttle’s World Peace Diet lecture presentation. 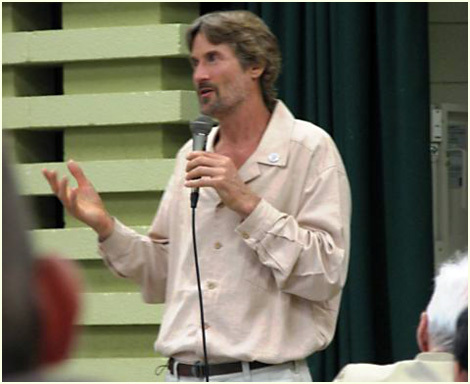 There are a variety of other titles and themes Dr. Tuttle can address as well, including cultural awakening, developing intuition, meditation, music and healing, cross-cultural and spiritual approaches to wellness and thriving, and the keys to effective vegan advocacy. 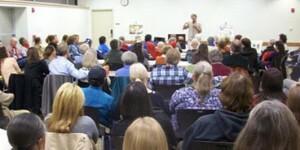 The presentation schedule is being continually updated. We also have videos of his presentations. 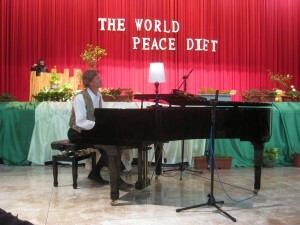 Thanks for your interest in spreading the message of compassion, justice, health, and The World Peace Diet! Dr. Tuttle’s acclaimed vegan education programs: The World Peace Diet online Mastery and Facilitator Training programs and monthly World Peace Diet Circle teleconference Q&A gatherings. 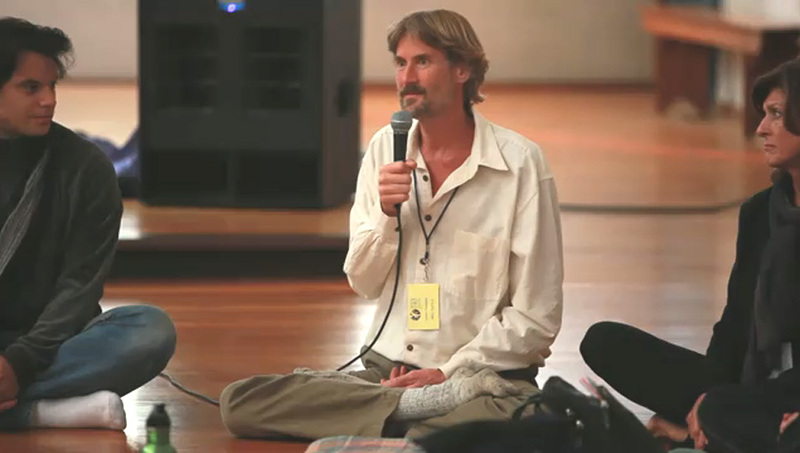 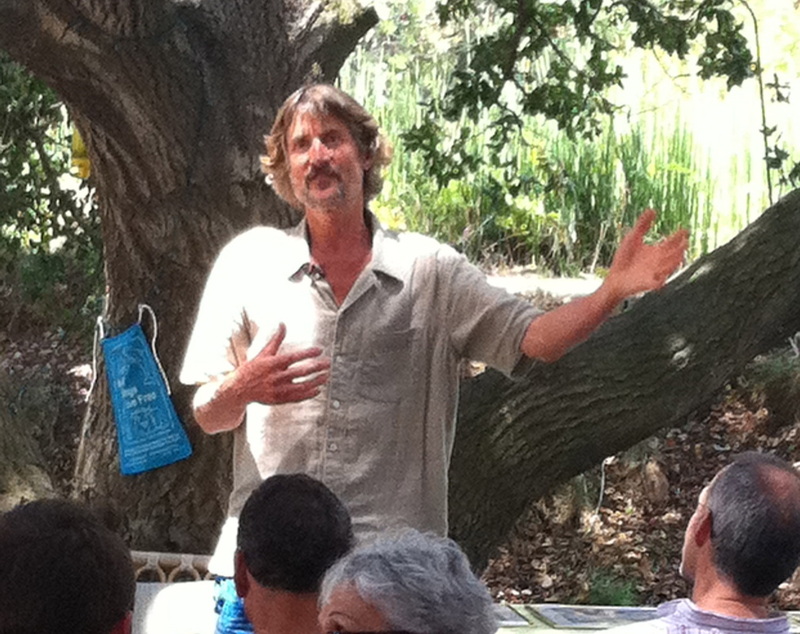 “A deeply peaceful, highly energetic and engaging speaker.” — Patti Breitman, noted author and founder, Marin VEG.